I'm really surprised, but it's been over five months since I last posted a vintage Green Lake postcard up here. Odd, as I have more vintage Green Lake postcards than postcards from all other locales combined. This one has always stumped me. It's a real photo postcard - the photographer had the image developed onto paper backed with a postcard template. 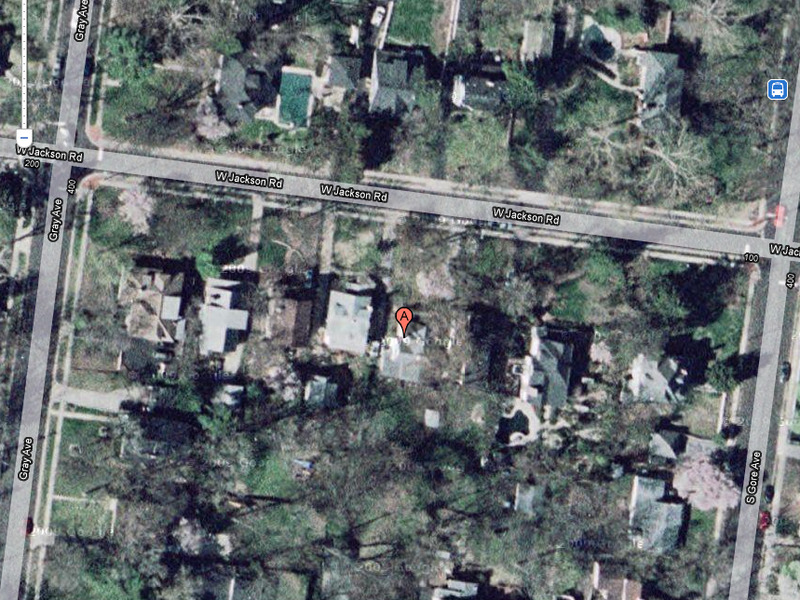 What's stumped me is where exactly this lake house is/was situated on Green Lake. It's listed as "Fern Bank, Green Lake, Wisconsin". 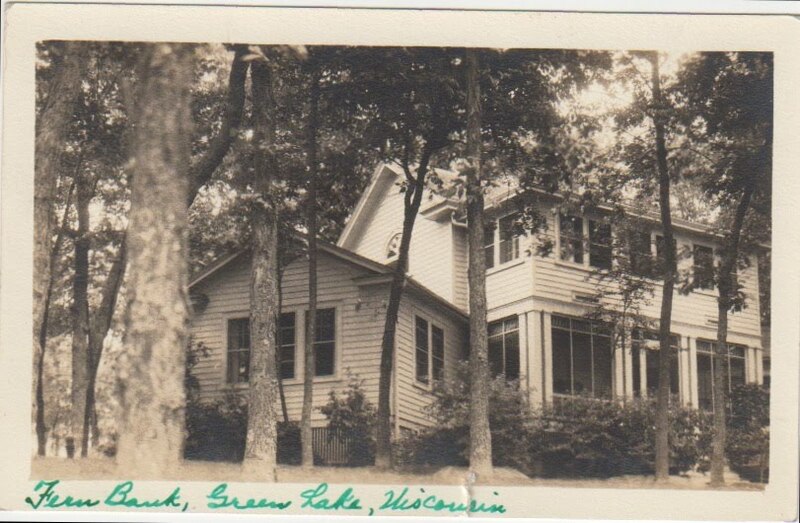 Googling shows no indication of "Fern Bank", nor does my A Heritage History of Beautiful Green Lake Wisconsin. Oh well, I still think it's cool. And I bet the home, if still standing, is even cooler. 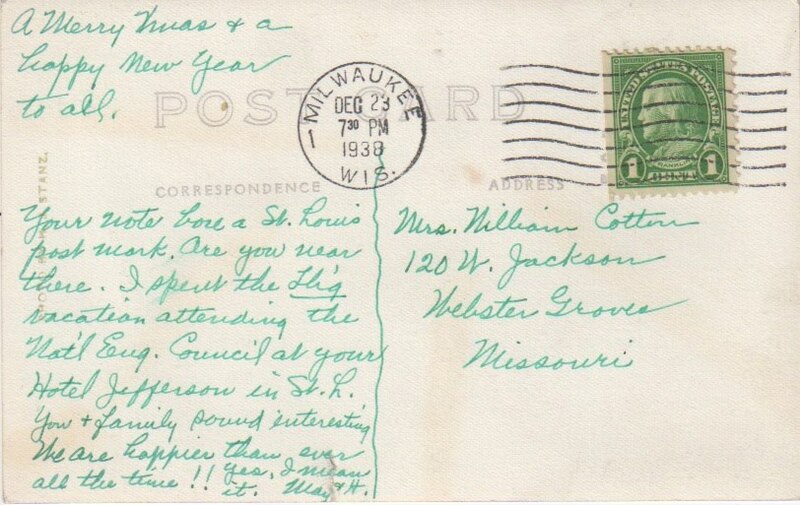 Postmarked Dec 23, 7:30 PM, 1938, Milwaukee, Wis. 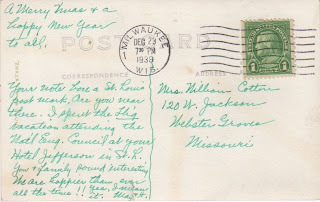 Your note bore a St. Louis post mark. Are you near there. I spent the (??) vacation attending the Nat'l Euq. Council at your HOtel Jefferson in St. L. You and family sound interesting. We are happier than ever all the time!! Yes, I mean it. May (?) 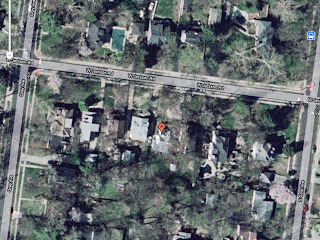 & H."
Looks like a home stills stands on the property. However, I wasn't able to get a better pic of it. Unfortunately the limited search I did found no records online for the recipient.